Kelly Clarkson is an American singer, songwriter, and actress who became the sweetheart of the nation after winning the 'American Idol' title in the first season of the show. The winner of the television series ‘American Idol. An American singer, songwriter, and actress. According to Radar Reports, she has signed a $14 million contract deal with The Voice for the 14th season. She has endorsed numerous advertisement and commercials for various brands including Oxygen, Pepsi, Toyota, and NASCAR Foundation. She became part of a controversy after she admitted to disciplining her children in a way that other parents don’t necessarily agree with. Additionally, Kelly also found herself in the middle of a huge political controversy during September 2017. At present, there are no rumors concerning Clarkson and her career. Early Clarkson was born in Fort Worth, Texas as Kelly Brianne Clarkson. She was born to parents Jeanne Ann and Stephen Michael Clarkson. Her father is a former engineer and her mother was a first grade English teacher. Additionally, she has a brother named Jason and a sister named Alyssa. She became interested in music and singing since her childhood years. She held American nationality. Furthermore, she belongs to a mixed ethnic background of Greek, English, German, Irish, and Scottish. Talking about her education, Clarkson attended Pauline Hughes Middle School. In addition, she graduated from Burleson High School in 2000. 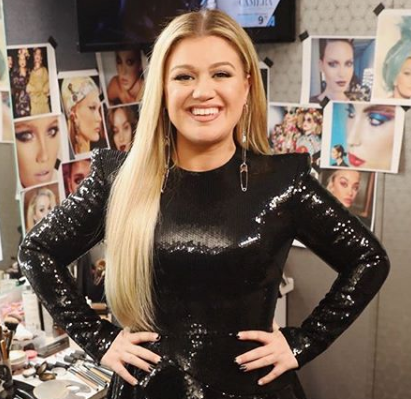 Kelly Clarkson initially performed in several musicals including ‘Annie Get Your Gun’, ‘Seven Brides for Seven Brothers’ and ‘Brigadoon.’ After turning down two recording contracts from Jive Records and Interscope Record. She appeared in ‘Sabrina, the Teenage Witch’ and ‘Dharma & Greg.’ Additionally, she auditioned for the ‘American Idol: The Search for a Superstar.’ She won the competition on September 4, 2002. Eventually, she signed a record deal with RCA Records, 19 Recordings, and S Records. She has released several albums to date including ‘Thankful’, ‘Breakaway’, ‘My December’, ‘All I Ever Wanted’, ‘Stronger’, ‘Wrapped in Red’, and ‘Piece by Piece’ among others. In addition, she has been part of several tours to date like ‘Breakaway World Tour’, ‘My December Tour’, ‘Piece by Piece Tour’, and Meaning of Life Tour.’ Apart from her career in music, she has also appeared in several movies and television series. She appeared in ‘Reba’ in 2007 and ‘American Dreams’ in 2003. At present, she became a coach on the televised singing competition The Voice. She garnered the Brit Award nomination in 2006 and Dorian Award nomination in 2017. Additionally, she has received 15 Grammy Award nominations and has won the award three times. Furthermore, she has also won the MTV Video Music Awards a total of two times. Kelly Clarkson has not revealed her current salary. However, she has an estimated net worth of around $ 28 million at present. Her source of wealth comes as a singer and an actress. Previously, Kelly Clarkson dated singer Graham Colton for a year from May 2005 to 2006. Later, she was in a relationship with musician Ryan Key. Currently, Clarkson is a married woman. She is married to Brandon Blackstock. The pair married on 20 October 2013. They have two children together: River Rose Blackstock and Remington Alexander Blackstock. Their marriage is going strong as there is no news regarding any extramarital affairs at present. Apart from that, Clarkson has taken a part in numerous charitable works and movements. In April 2007, she took part in Idol Gives Back- a fundraiser event for poverty elevation fund in Africa and the US. She has also performed several fundraiser concerts for HIV/AIDS, abuse and poverty. Additionally, she has also supported the non-profitable organizations like Save the Children, UNICEF and Save the Music Foundation. In 2013, she participated in Green Mountain Coffee’s Great Coffee, Good Vibes choose fair trade campaign by visiting coffee farms in Peru. Besides this, she is active over the social media. She has a huge number of followers on social networking sites like Facebook, Instagram, and Twitter. She has more than 12 million followers on Twitter. Additionally, she has over 3.5 million followers on Instagram. Similarly, her Facebook page has more than 12 million followers. Talking about her body measurement, she has a height of 5 feet 3 inches or 161 cm. Additionally, she weighs around 79 kg or 174 pounds. She has a body measurement of 37-31-37 inches. Furthermore, she has dyed her hair blonde and her eye color is hazel. Her shoe size is 7 (US) or 37.5 (EU) and her dress size is 12 (US) or 44 (EU).